Undeterred by the lack of action by the City, Surfrider activists continued to raise awareness and educate San Diegans about the negative impacts of plastic pollution on our beaches and in our ocean. We also helped support Solana Beach, Encinitas, and Del Mar in their bag ban processes. Most recently, our activists have been working with the City of Oceanside on their bag ban. Oceanside will vote for their ordinance on August 10th. And in our efforts to ban the bag in San Diego, we continued to build a strong coalition of supporters in order to mount public pressure on our policy makers to take action. 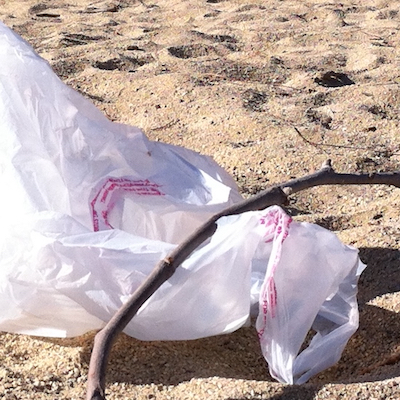 In late 2012, with the political makeup of the city council ripe for a bag ban, San Diego Surfrider activist, Roger Kube, began searching for a Councilmember to champion the bag ban efforts. After six years and legislative sessions trying to pass a bag ban, the California state legislator passed a statewide ban on plastic bags in October 2014. It was signed by Governor Jerry Brown in September. However, to our dismay, the plastic bag industry spent over 3 million dollars to gather enough signatures to stall the state bag ban and put a referendum on the November 2016 ballot. They “bought” their way on the ballot for pennies relative to the 150 million dollars per year they stand to lose by continuing to pollute our environment. In the spring of 2015, with enough signatures validated to put the state bag ban on hold, Surfrider activists met with the Mayor’s office to confirm that the City of San Diego bag ban was going to get back on track. Fortunately, they agreed. The environmental review process that the City of San Diego chose took over a year. During that time the San Diego Chapter continued to raise awareness and collect petitions to present at city council hearings. Volunteers rallied to address City Council at the public hearings where they voted 6-3 to pass the ordinance.